To study on the taxonomy of insects, and to collect and preserve insect specimens for scientific purposes. To investigate the insect fauna of Vietnam, and to take part in the compilation of the fauna of Vietnam. To study the insect diversity and it’s conservation in Vietnam. The unit has been operated as the Insect study group in Department of Zoology since 1975. After that, it joined the Department of Insect Ecology belonging to the Institute of Ecology and Biological Resources. It has been separated into the independent research department of Institute of Ecology and Biological Resources since 2000. 1977 – 1983: The animal investigation in Tay Nguyen from the National Progam of the general investigation of Tay Nguyen area. 1984 – 1988: The agricultural pest on the main crops in Tay Nguyen from the National Progam of the Scientific base for the socioeconomic development in Tay Nguyen. 1979 – 1985: The study on the fauna and the ecology of animal of Vietnam from the Vietnam-Rusian Cooperation Research Program. 1981 – 1985: The Biological productivity of the forest ecosystems in Tay Nguyen from the National Program of the Scientific base for the protection, the restoration and the rational ultilization of Biological resources. 1990 – 1991: The evaluation on the biological resources at the Songda Reservoir area from the Program of the Scientific base for the socioeconomic development of the Songda Reservoir area. 1993 – 1995: The research for restriction of the environmental pollution caused by chemical using in agriculture from the National Program of the Environment Protection. 2006-2007: Study on Insect diversity along the HoChiMinh Highway passing the midle Central Vietnam and propose conservation solution. VAST project. 2008-2009: Study on Insect diversity along the HoChiMinh Highway passing the North Central Vietnam and propose conservation measures. VAST project. 2008-2009: Study on diversity of moths (Heteroctera, Lepidoptera) of tropical forests of Vietnam under anthropogenic pressure and their practical significance. VAST project. 2007-2010: Survey of the longterm effects of chemicals used by USA in Vietnam war on the biodiversity at Vietnam-Laos border (Quangnam and Kontum provinces) and propose some recommendations on solutions. National project. 1996 - up to now: The compilation of the Fauna of Vietnam and the Red Data Book of Vietnam. 1995 - up to now: The Program of Fundamental Research in life sciences (Nafosted). 2012-2014: Investigation and evaluation of the animals and plants at risk of extinction, protection priority base for Vietnam’s Red Book revision. State-level independent research project.2011-G/23. § 2011-2014: The evaluation on the Ecosystem Dipterocarp forest and Ecosystem evergreen broadleaf forest in Tay Nguyen and propose conservation measures. TN3/T07. § 2012-2014: Taxonomy leading to better understanding and conservation of the cicadas biodiversity of (Hemiptera: Cicadidae) northern Vietnam, funded by the International Foundation for Science (IFS), Sweden. The evaluation on the biodiversity and conservation in National Parks and Nature Reserves as well as the World heritages in Vietnam. 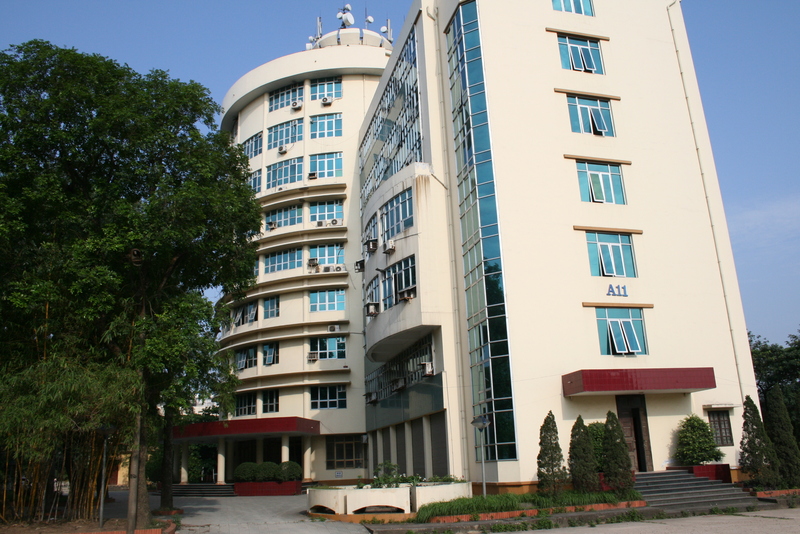 About 400 research papers were published in Vietnamese and International Journals. More than 100 new to science insect species were described, hundreds of species were newly recorded for the fauna of Vietnam. Three volumes of Fauna of Vietnam were published. About 500,000 insect specimens are preserved. Data base of the insect diversity in various areas in Vietnam. Department of Insect Systematics has collaborates with some international professional institutions such as: Royal Belgian Institute of Natural Sciences, Brussels (Belgium); Museum National d'Histoire Naturelle, Paris (France); Senckenberg Research Institute, Frankfurt (Germany); Tokyo University of Agriculture (Japan); National Science Museum Tokyo (Japan), Tokyo Medical and Dental University (Japan), Obihiro University of Agriculture (Japan); Veterinary Medicine, National Institute of Infectious Diseases (Japan); National Institute of Biological Resources, Seoul (Korea); Michigan State University (USA); National University of Malaysia, Kuala Lumpur (Malaysia); University of Malaya, Kuala Lumpur (Malaysia); The Netherlands Centre of Biodiversity (The Netherlands); Nizhniy Novgorod State University (Russia); State Pedagogical University of Uljanovsk (Russia); Swedish Museum of Natural History, Stockholm (Sweden); National Chung-Hsing University (Taiwan); Tunghai University (Taiwan); National Museum of Natural Science (Taiwan); National Museum of Natural History/Smithsonian Institution, Washington DC (USA); North Carolina Museum of Natural Science (USA).